I’m running the Chicago Marathon again (I ran it in 2014 and 2017) and you know what that means? 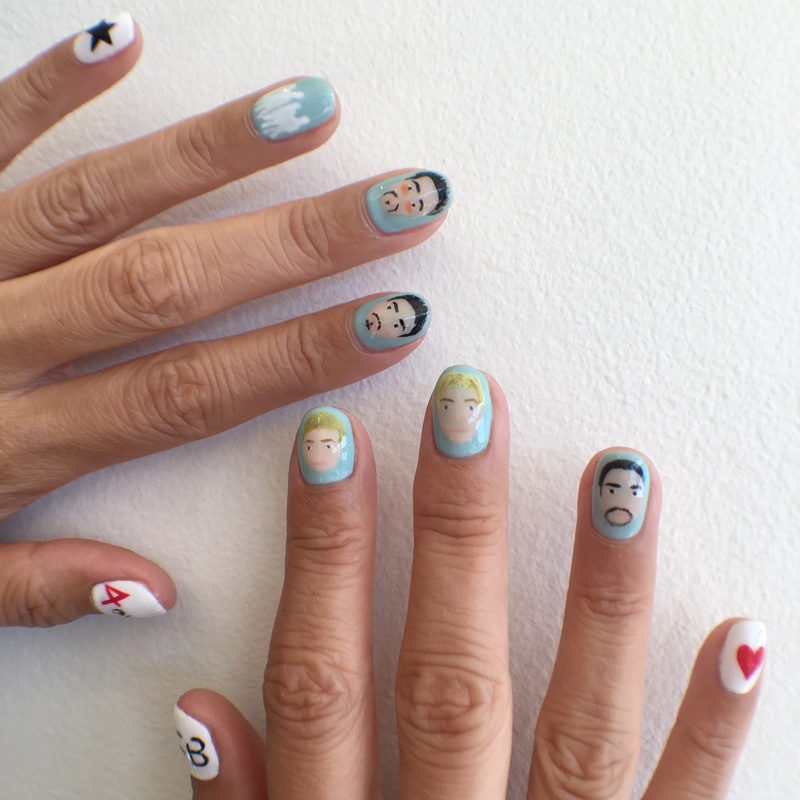 Time to get my marathon manicure! 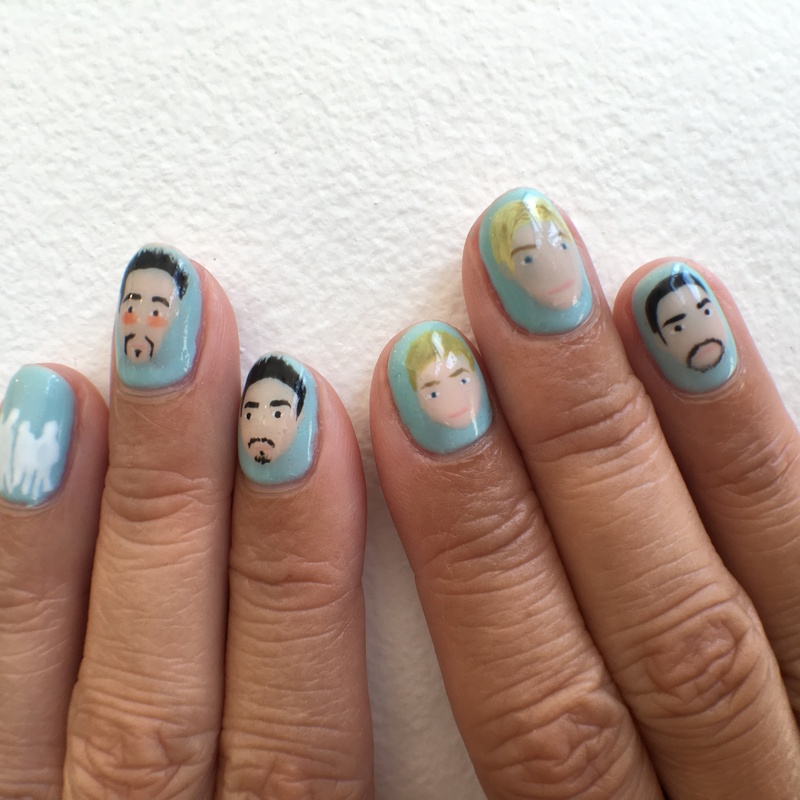 It’s been a ritual of mine for some years now to get some great nail art before a big race. 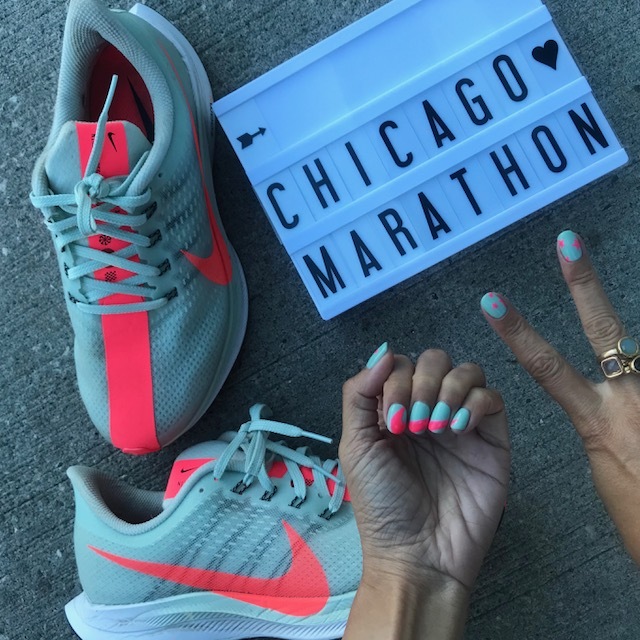 Although I usually go with something inspired by looks on the fashion runway (I got this manicure for the 2014 Chicago Marathon) or a nail look I’ve seen online, this time around I went with a look that’s more directly inspired by the race. 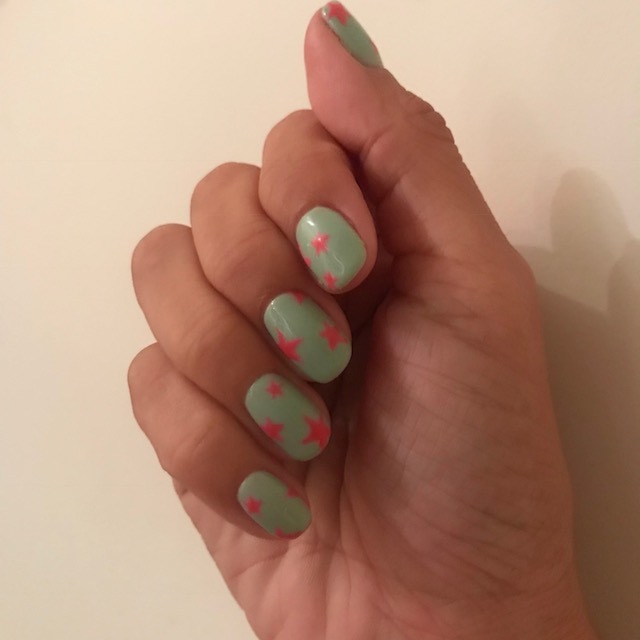 (The colours Leeanne Colley and Naomi Misu used are CND Shellac Mint Convertible, and Accent Gel Play in Hot Pink layered with Artistic Color Gloss in Owned). 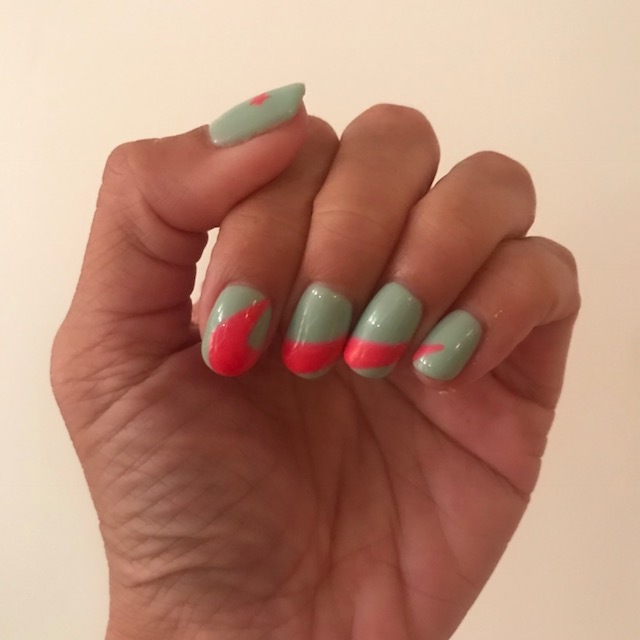 I love the look — the minty green with the vivid coral is bananas and it’ll be a nice reminder during the race that no matter what time I cross the finish line with that all I can ask for is that I reach for the stars. And believe me, I have plenty of time during a marathon and most definitely do notice my nails as I make my way through 42.2 kilometres! But I’ll also be thinking about the things I learned training this season and hopefully all of the brutally hard work this summer will pay off. I’m on my way to see the Backstreet Boys in Vegas, baby! While I’ve seen BSB in concert many, many times, I think this show in Sin City will be extra fun (and I should hope so as the tickets cost a small fortune!). 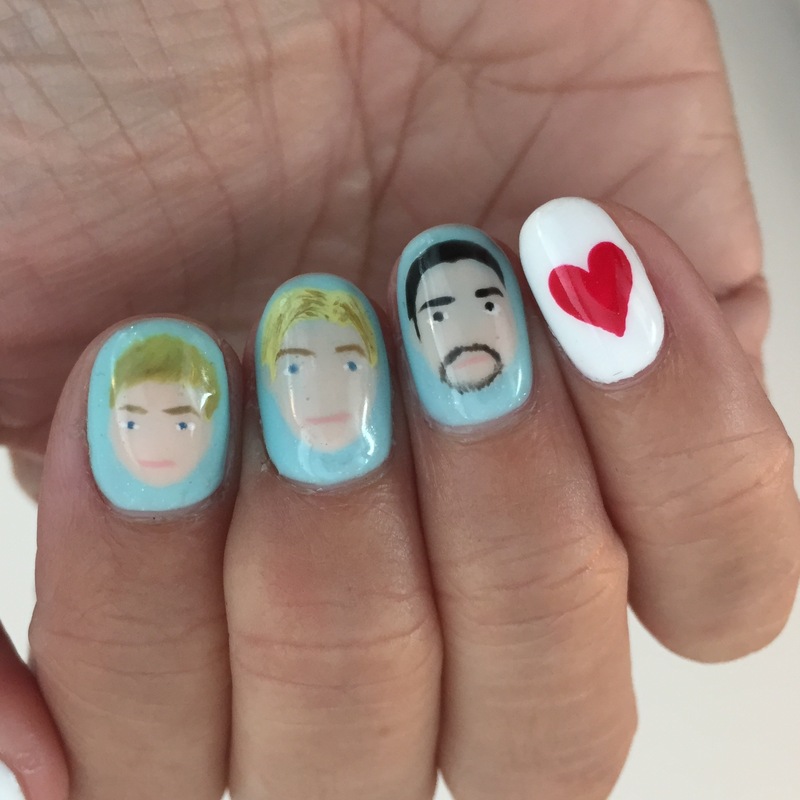 So what better way to declare my boy boy band love than with a fun mani from Tips Nail Bar? The awesome Naomi Misu at Tips wasn’t too familiar with the wonders of BSB so she had to watch music videos and research some photos to see what they look like (and she was thorough, she noticed AJ is always in shades!). 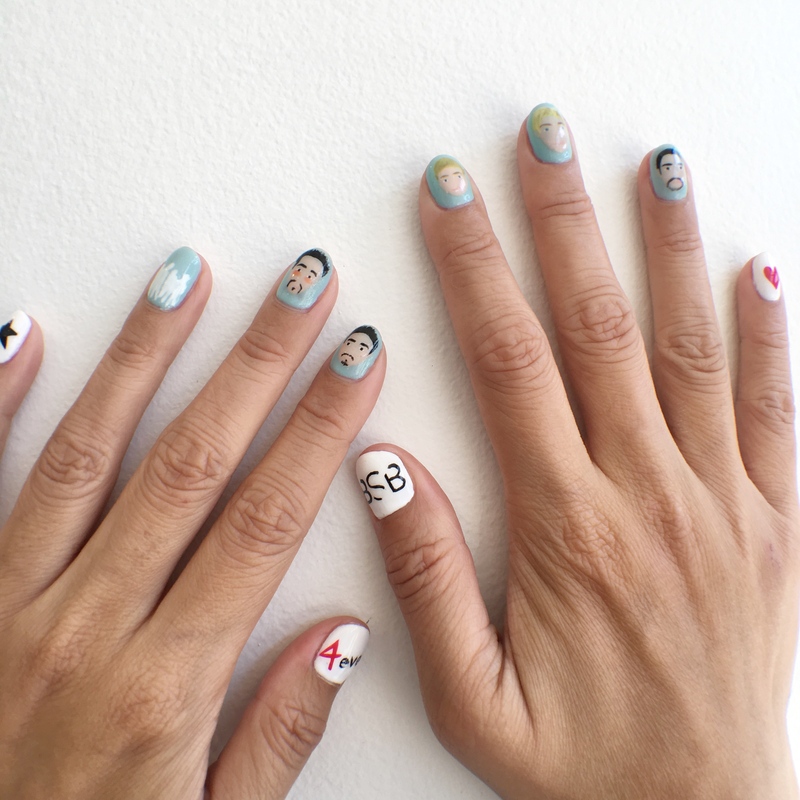 I’d asked for each of their faces, and then because I love the Millenium album, I also asked for the silhouette of the album cover (the boys all standing in their white outfits) on another nail, and the rest were simpler (a heart, a star, BSB and 4ever — the BSB Naomi did in the typography from one of their albums, she’s the best!). I love how she did Nick’s hair and the shades on AJ are the best! The nails make me giggle so much. 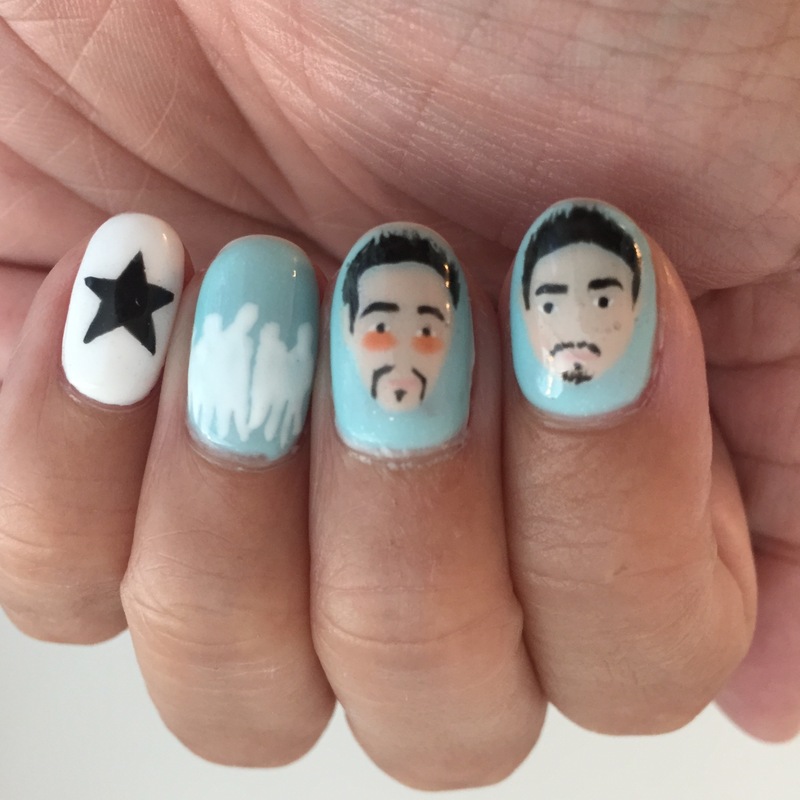 And I have to laugh because while they’ll make sense this weekend while in Vegas, after this weekend I’ll just be the weirdo with the Backstreet Boys nails (…or is that what I am now??). Or maybe as someone at Tips (another fan) said, “Backstreet Boys is always in style.” Hahaha! Oh, and a PSA for all the non-fans: Backstreet Boys has not gotten back together. They’ve never broken up! Kevin left briefly but he’s back. They’ve been recording regularly all these years! 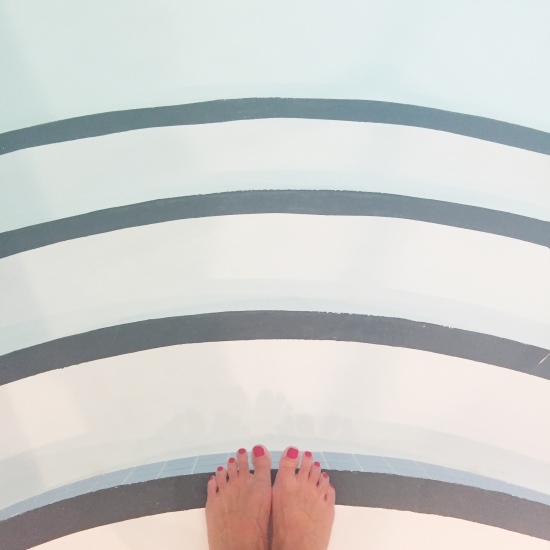 Maybe it’s because I’m a runner, and also a bit of a germaphobe, but I’m pretty sure I think about my feet and their health more than the average person: I stare at what might be slight bunions from wearing uncomfortable narrow-fitting heels too often; I reluctantly tiptoe barefooted across yoga studio floors and in change rooms, afraid of getting athlete’s foot or a nail fungus. While I’ve never had a fungus infection diagnosis, I know they are pretty common, and my feet have gone through a lot, including one black toenail (thanks to it getting bruised while running a half-marathon). Our feet are a common area for injury. So you shouldn’t be ashamed of a foot ailment such as a fungal infection because chances are most of us have been there, done that. Toenail fungus infections in fact account for 50 percent of all nail problems. And 2.4 million Canadians suffer from this type of infection, also called onychomycosis. So how to be proactive and keep your feet in good condition? Air out your footwear. Keep your feet clean and dry by making sure your shoes are dry; and you can prevent them from becoming moist breeding grounds for bacteria by taking out the liner inside your shoes and having your footwear air out near a heater. Don’t let your feet remain in pools of your sweat. So this means regularly changing your socks (especially so if you’re doing a sport such as running or skiing) and sticking to a breathable material such as wool so that the sweat is kept away from your skin. Cotton, on the other hand, traps moisture and will help bacteria proliferate. Keep your toenails clipped short and straight across. And while I don’t follow this rule (what can I say, I like pretty pedicured toes! ), nailfungus.ca says it’s better to keep your toenails bare (so that your nails are exposed to air) rather than polished. Practice safe walking. Toenail fungus can be transferred from person to person and even from one toenail to another, so it’s best to not walk barefoot at public pools, public showers and locker rooms. I always bring a pair of inexpensive flip flops when I know I’ll be getting ready at the gym. Even if you follow all of these careful rules, though, it is possible that you will still get exposed to the dreaded f-word, but if you get a fungal infection, it doesn’t mean all hope is lost and that you have to hide your feet forever. The most frequently prescribed treatment is 10% efinaconazole—more commonly known as Jublia—and it’s been shown to be effective at managing the infection. If you suspect you have a nail fungus infection, speak to your GP or dermatologist so you can get the right treatment and back on the healthy path.